car seat is excellent, comfortable. The product looks like on the photo, the color matches. The fabric is soft, pleasant to touching. 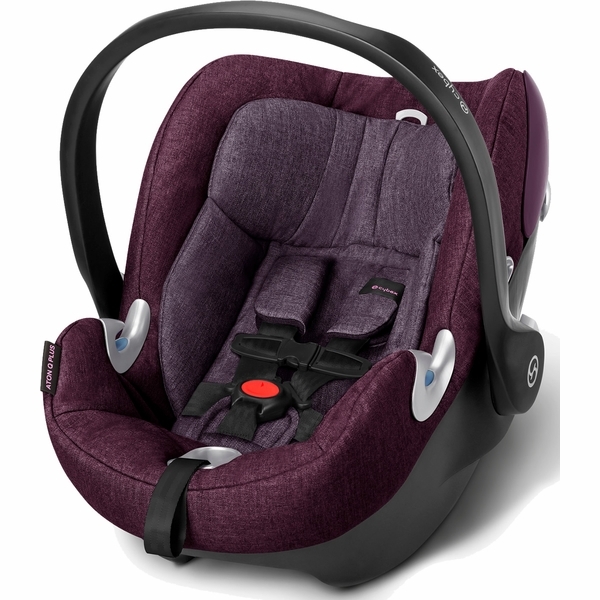 We bought this as our second car seat after owning Regular Cybex Aton Q.
Aton Q Plus has nicer fabric and just has more luxurious feel to them. Color is vibrant and extendable canopy color is cute too. We also love the load leg base for safety. My favorite part about this car seat is that there is a nice sun shade, but it folds down so that it is hidden when not in use. This not only prevents hassle and wear and tear on the shade, but also provides a sleeker look. This car seat also has extra padding from what I am used to in other car seats, safety braces, a sturdy frame, and what feels like a better way to strap it into a standard seat belt when not using the base. Everything adjusts so easily! It is great. Got here on time and not damaged. Great little infant seat! Thanks AlbeeBaby! 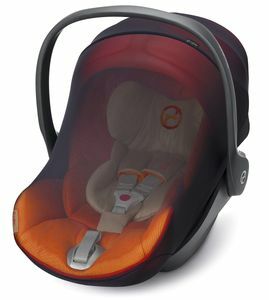 We purchased a Bugaboo Bee5 and saw that the Cybex Aton Q seat was a compatible car seat option, so we went to the store and saw it in person before we purchased from Albee. 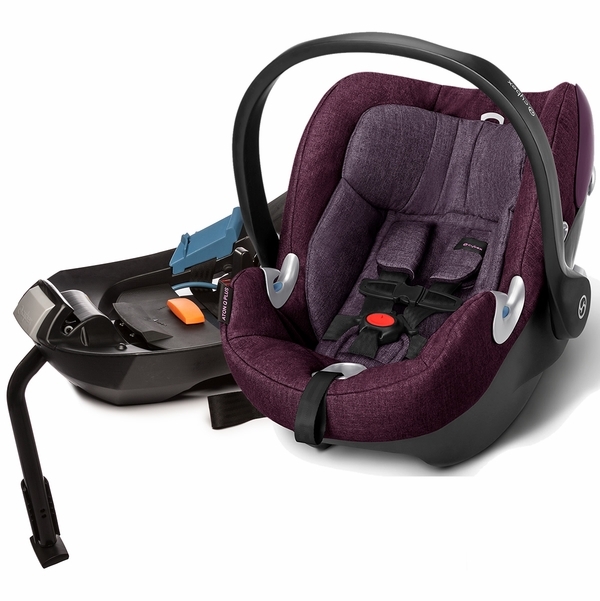 It's a sturdy, well-made seat for newborns (love the extra newborn padding) that easily snaps into its foot base as well as our Bee5 (note: you need to purchase the car seat adapters in order to work together). We use the LATCH attachment for the foot base, and our 70+ old grandparents have had an easy time installing into their call. (Trick: we bought an extra foot base so that we could leave in two cars). Overall, a great seat that we'll miss when our son outgrows it! 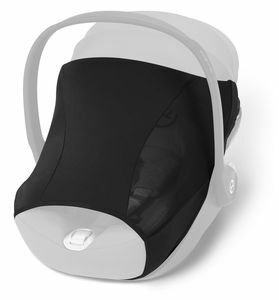 ConsWill only be able to use until our son is 35 lbs, which gives it a use life of about 1-2 years. 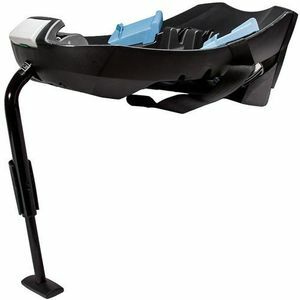 Best UsesPurchase an extra foot base so that you can use the car seat in multiple cars. Aesthetically, this is a great looking seat (which matters sometimes :)). We loved the easy install with or without the base. 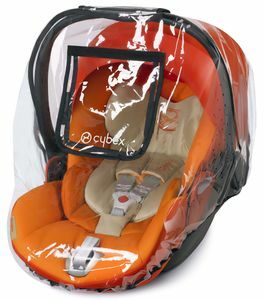 Use the "car seat lady" you tube video for your 1st install and then its a breeze. Our infant used this seat up to 1 year (easily). And even though you aren't supposed to put a car seat in the front of a grocery store cart, most of us have done it. YOU CANNOT do that with this seat which means you have to put it in the actual basket and then your cart is pretty full. Received this item this week, thank you for your prompt service & shipping. 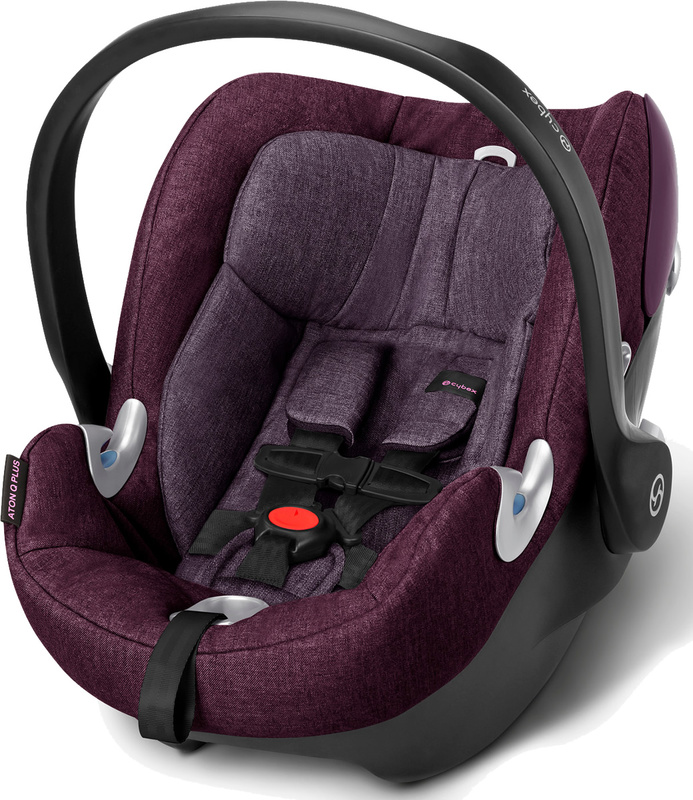 Love the car seat, very stylish, practical fabrics, easy to use and install. Overall very happy and would recommend this to anyone wanting an elegant looking and practical seat for their infant. This carseat is on the smaller side even though it is heavy. The covers all come off and can be washed and I find that convenient. The padding seems to be more comfortable to me. I order both and ultimately decided on the Nuna Pippa. The Cybex is pretty amazing in person - great safety features, very stylish, and easy to install. We ended up choosing the Nuna Pippa due to weight and size when installing in our car. Cyber has some definite advantages though in its ability to lay completely flat and install without a base. Don't think you could go wrong with either! This car seat is beautiful AND functional! It's super easy to install and use. It takes only seconds to connect/disconnect our Baby Jogger City Mini GT stroller (requires adapter). You only need to pull one strap to adjust the harness, newborns can lay flat, the canopy is huge, and the quality is top-notch! Have been using the seat for about 2 weeks. The seat is a little heavy but willing to look past that for the safety features. Little one falls asleep in it every time (seems very comfortable. Fits in my Aprica stroller with ease. Very compact and sleek design. ProsFits my newborn very well. Really like the feature that allows me to adjust the shoulder straps without having to retread. Canopy hood material blocks sun. My newborn seems very comfortable in the seat. Took approximately 10 mins to install base. Able to move seat in and out of base with ease. What's the difference between the Aton Q and Q Plus? The only difference is in the fabric; the Plus version gets its characteristic appearance through an exclusive, very hard-wearing fabric with a twill effect in a denim look. 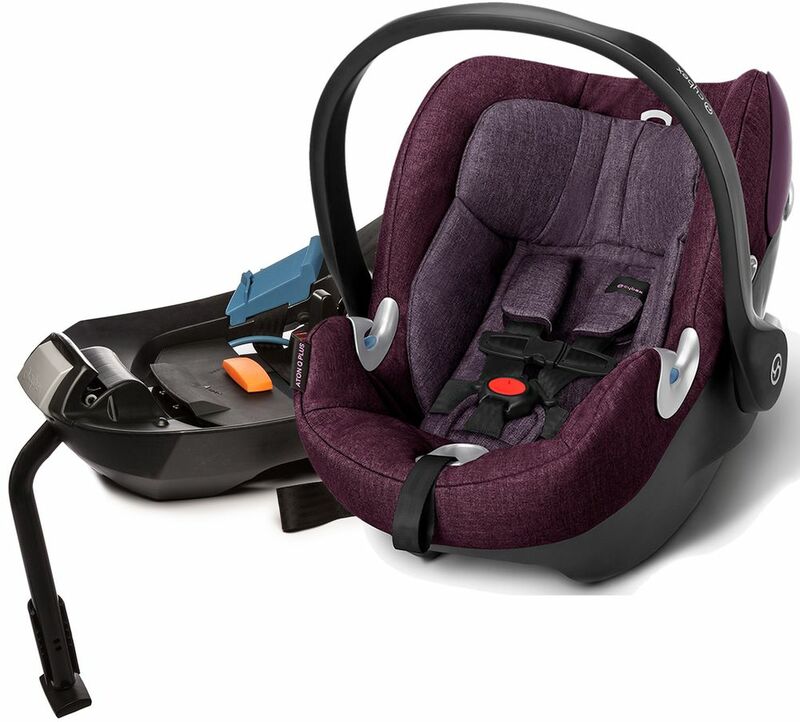 Height capacity: Up to 30"
The Aton Q infant car seat stands for maximum safety and innovative technologies, united under the iconic roof of the CYBEX PLATINUM family. The interaction of a clever telescopic Linear Side-Impact Protection (L.S.P. System) and a height-adjustable headrest with an integrated harness guide ensures the highest level of safety and comfort. In addition, a new function enabling the flattest possibly lying angle between head, neck and chest reduces the risk of breathing difficulties for premature babies and very small newborns. A matching XXL fold-away sun canopy with UVP50+ perfectly protects against sun and strong.